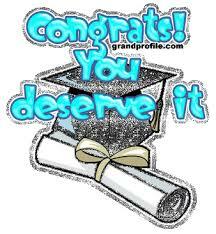 If you want to have a good job, you have to try, and get good grades. To get a good job, you have to put effort into school. You won't get anywhere in life if you don't try. You have to try to accomplish something to get a good career. This will apply to me as a student by saying if I want a good career, I have to put an effort into school, and my grades. If someone wants to accomplish something, they have to try. "You can't be anything you want to be, you can only be what you deserve to be." You can't get a good career if you don't try, and care about your grades. You can only get a good career if you try hard as a student and if you care about your grades. Trying hard in school can help you accomplish getting a good career. I learned that it's hard to come up with the cations, or memory tricks because you have to think about what could be easy to learn from, and put it to words. If I could change one thing about the assignment, it would be not having to come up with the memory tricks for each term because it was harder to come up with the tricks instead of the definitions. Yes, this assignment will help me remember the terms in the future. Yes, the terms will help me prepare for the test because I can study the terms so if the test uses them in a question, I'll know what to do to answer them. Through-out this assignment, I learned how hard people have to think, and work to make posters. They have to come up with a memory trick, and put a picture that goes with it. If someone is planning a crime, the FBI could figure more out about the crime to stop it. The FBI should be allowed to hack into Apple iPhones. The FBI want to hack into Apple phones. According to Randall G. Holcombe author of Apple CEO was right to defend basics, “Last December, Farook and his wife killed 14 people in a mass shooting in San Bernardino. Because of the privacy features of the iPhone, the FBI could not search Farook’s phone for information about the attack without Apple’s help. When Apple refused, the FBI sought to force the company to help by taking it to court.” If Apple allowed the FBI to hack into iPhones, the FBI could figure out if someone is planning a crime. The FBI only wants to hack into iPhones for safety reasons. Apple should let the FBI hack into iPhones to keep everyone safe from mass shootings, or something else. Many people can be killed if the Apple doesn’t let the FBI hack into iPhones because the FBI can’t see when someone is planning a crime or mass shootings. Without Apple’s help, the FBI can’t track whether or not someone is planning something. If Apple let the FBI hack into the iPhones, they could’ve figured out more about the attack on Farook. With Apple’s help, the FBI can stop a lot more crimes. Apple believes people with iPhones have a right to their privacy. “Apple phones have features that protect the privacy of the information on them, and the Fourth Amendment guarantees people this right to privacy. Americans have the right to possess information without having to share it with the government. And Apple has the right to provide products that help Americans protect this right. Yes, the Fourth Amendment also says the government has a right to search personal property if it has a warrant and probable cause. But it does not say that third parties, like a technology company, can be forced to aid the government in its searches.” (Flora, 2016) Apple doesn’t want to let the FBI hack into iPhones for people’s privacy. If Apple lets the FBI hack into iPhones, the people don’t have their Fourth Amendment. Everyone has the right to the Fourth Amendment. People should be allowed to choose whether or not they want the FBI to hack into their iPhone. The rights of the people are important in a situation like this because if the people don’t want someone to hack into their phones, they should get the right to say they don’t want someone to hack into them. The people’s Fourth Amendment is their right, and nobody can take it from them. Everyone has the right to their own privacy. If someone is planning a crime, the FBI can see details about the crime. “However, the issues raised by this controversy have not been resolved and we should expect a replay in the future. That’s why it’s important to understand why Apple was right to take the principled position it did. Basic American rights were at stake, and the purpose of law is to protect people’s rights. Consider what the FBI asked Apple to do. The FBI did not ask Apple to turn over information it already had. This was nothing like a search warrant.”(Holcombe, 2016) The FBI is only trying to keep the people safe. Without Apple’s help, many people could get hurt or even die. The FBI isn’t trying to get the information it already has, but more to it. If Apple would just let the FBI hack into their iPhones, more people wouldn’t be at the risk of getting hurt. The FBI wanting to hack into Apple’s iPhones is nothing like a search warrant. The FBI is just trying to keep the people with iPhones safe. The FBI doesn’t want information it already has, but different information to hack into their phones. Apple should let the FBI hack into their iPhones. To keep people safe, the FBI wants to hack into Apple iPhones. Everyone has a right to their own privacy. The FBI can find more about a crime to stop it. 1. A. Appease (Verb) - Being satisfied. B. My brother was appease because my mother brought cupcakes home. C. Someone bringing you what you wanted. 2. A. Reciprocal (Adjective) - Done in return. B. When my mom helps me, I was reciprocal to her. 3. A. Tedious (Adjective) - Too long, slow, or dull. B. Even though Pepperidge Farm pays a good amount of money, it's tedious. C. Time going by really slow. 4. A. Waver (Verb) - Unsteady, unreliable. B. Some people are reliable, but others are waver. C. Not reling on someone. 5. A. Adversity (Noun) - Difficulties. B. Even though there was adversity between them, they agreed. 6. A. Resolution (Noun) - the action of solving a problem, dispute, or contentious matter. B. Even though they were best friends, they had to find a resolution to solve their problem. 7. A. Conventional (Adjective) - based on or in accordance with what is generally done or believed. B. Even though we are conventional towards school, we have to show up everyday. C. Not wanting to do something. 8. A. Mediate (Verb) - intervene between people in a dispute in order to bring about an agreement or reconciliation. B. I had to mediate my neighbors, so they would stop arguing. C. Coming to an agreement. 9. A. Ensue (Verb) - As a result. B. When I threw my phone, it shattered the screen as an ensue. “Clearly, not all stars crumble under the pressures of fame. Selena Gomez, Ariana Grande, Will Smith, and Justin Timberlake, all of whom became famous as teens, seem to be doing fine.”Being famous sounds amazing, but with the amount of stress it puts on people I wouldn’t want to be famous. Being a celebrity could mean that you might not know who you are or who your true friends are. “But according to Rockwell, it can be difficult for a celebrity to trust others and make and keep true friends.” If someone famous needs a true friend, they might not have any. Celebrities don’t know who their true friends are because they don’t know if they want to be friends with them because they are famous or because they want to actually be their friends. Is being famous worth all the perks? It can be a great time being famous also. “Plus, she gets amazing perks, like free clothes from top designers, front-row seats at prestigious award shows, and trips around the world.” Being famous can have it's perks like getting front-row seats at prestigious award shows. You can take trips around the world, and get free clothes from top designers. It could be great to be famous because of all the perks there are. Getting a front row seat at an award show, trips around the world, or free clothes, all can be amazing. The happiness from being famous isn’t always going to be there. “Turns out, the happiness that comes from fame is fleeting.” Being famous isn’t going to keep you happy. Happiness doesn’t come from the fame or the fortune. The happiness from the fame, and the fortune is just fleeting. It’s not always going to make someone happy, they might not like the photographers all the time. Not everyone will enjoy being famous. Being famous isn’t worth the fake happiness. Being famous can either make someone happy or stressed. The happiness celebrities felt when they first became famous isn’t going to stay, the happiness level will change throughout how famous someone actually is. Being famous can make you happy, but you could become stressed. Does being famous really make people happy? "According to a study at the University of Rochester in New York, true happiness derives from having close relationships, time to focus on personal growth, and connections to your community." Do people really like the photographers, and crazed fans all day, every day? "Beyoncé has said that though she likes attention when she’s onstage, she’d be happier if she could “cut it off” when she isn’t performing and just enjoy her life." Is being famous really worth all the photographers. or crazed fans? If being famous is stressful, and has a fake happiness, is it worth it? Celebrities enjoy their time on set, but when they’re offset, there always crazed fans, and photographers. Over my Christmas break, I spent time with my family. I got to spend time with my cousins because I went to my aunt’s house for a week to help them. I loved getting to see my cousins because they enjoy playing hide and seek along with many other games. I played hide and seek with my cousin until we had to go inside. Getting to spend time with them is amazing because I never get to see them. I had spent most of my Christmas day with my family. Over Christmas break, at my grandma’s house, not many of my cousins were there even though they usually are able to make it. When I had arrived at my grandma’s house I had noticed that both of my aunts are having a baby. By the time I knew that my aunts were both going to have a baby, I realized that I would have two new baby cousins. I never actually get to see my aunts, uncles, grandmas, or cousins that often because they live in different states, so every time I get to see them I always play games, and make crafts with them whenever we can. I enjoy spending Christmas time with my family and friends. I got to help my mother wrap presents. While we were wrapping the presents, I ended up having tape in my hair. Wrapping presents with my mother is fun because it gives us a chance to bond.. Even though my father never helps us wrap the presents, it's still a bonding experience. Every year I get to wrap presents with my sister and mother. I love getting to wrap presents with my mother every year because it’s like a tradition we have, so to sum it all up I had spent wonderful times with my family, and great memories with my family that I will cherish and remember forever. I had loved my Winter Break. Currently I get A’s and B’s which accounts for my 2.79 GPA for the first nine weeks in eighth grade. I enjoy helping my mom cook, and playing hide and seek with my little cousins. I enjoy playing outside, but I also like to use computers. My interests have lead me to my number one career choice. When I grow up, I want to be a preschool teacher. In order to become a preschool teacher, I need to be able to cooperate with kids. You need to cooperate with them, and try to get them to agree with you. They like the outdoors, and to look at pretty objects. Even though little kids don’t understand if you tell them something, they still try to help. They get distracted by the easiest things. They like to find pretty things. If you found a pretty leaf, they would want one like it. They like to play games outside. They might like to play in the snow. Little kids are simple, but complex at the same time. You never know what they might want, or say. Understanding what the kids ask for is important because kids seem to get frustrated when you don’t understand them. A preschool teacher is a complex job if you can’t understand the kids. According Ohio Means Jobs, "I do love it but it can be quite hard work sometimes. I always wanted to be a teacher and it's because I just loved my primary school. It was a traditional gray stone church school in a village. Inevitably, one of the downsides of working in such a small school can be the lack of resources. However, this is an issue that has affected every school Moore has worked in, she is quick to point out.” Teaching kids in preschool is hard work. There are ups and downs when teaching because the students don’t want to listen or cooperate. Kids just want to play games, and not work, but still have to get them to learn. You can try to get kids to work in a fun way like in games, song, and many other things. You need to understand what the kids are saying in order to help them with what they need. If you work with little kids and don’t understand what they want, then there is going to be an issue. Kids always want something, or want to do something. They can be so simple because all they want to do is play.Teaching kids is harder than it looks because they are hard to understand. Being a preschool teacher is a career that I would like to have. According to Ohio Means Jobs website, “Ohio will be looking for over three hundred thirty yearly projected openings.” Ohio is looking for three hundred thirty yearly workers. There are a lot of kids in preschool, so there needs to be a lot of workers to take care of the kids. If there were little amounts of teachers and a lot of students, there wouldn’t be enough teachers to take care of all the students. Taking care of children is a hard job because they don’t want to listen, or cooperate with you. Taking care of children can be hard because they don’t want to listen. It can also be easy to take care of the kids because there get distracted by the easiest of things. If someone would want to take care of little kids, being a preschool teacher would be a good idea. If the students don’t understand you, it can be complicated to be a preschool teacher. You need to get along, and cooperate with little kids in order to become a preschool teacher. When you get older, get a job you love because you will be doing something you love and getting paid at the same time. I believe that being a preschool teacher will lead me to a happy life. Before career day, I wanted to be a lawyer. I wanted to be a lawyer because I like explaining, or arguing why I’m right. I learned that it is important not to spend all of your money in a few minutes, or a few hours, and to buy all the important items first. You have to buy food, clothes, insurance, a car, a house, child care, utilities, and medical care. It's important to spend your money wisely. At the reality store, I learned that it was important to value your money. You need to be careful not to get tickets, so you don't have to pay for them. You need to be able to take care of your family. I wouldn't want to have two different jobs. I would want to only have one job because it would be a long, and tiring day. I learned that being an adult is a lot of responsibility. You have to be able to pay for your kids, and everything they need. You have to be able to pay for groceries, your car, your house, medical care, and etc. You need to have everything that you would need until you would get paid from your job, or jobs. In the afternoon, I had three different classes. My different classes were Social Media/Sports, Art and Communication, and Forensics Science. I learned that if at first you don’t succeed it’s not worth giving up because you can become better at it. You can get better at something if you try more than once, and don’t give up. A few more things that I learned were valuing money, spending it wisely, trying to make smarter choices with money, and I had seen a glimpse of what my future may look like. I learned there are multiple different kinds of art, and ways to communicate. Donald Trump wants to get rid of cyberbullying. Hillary Clinton wants to eliminate higher paying jobs. Donald Trump wants to make a wall to keep illegal immigrants. America should vote for Donald Trump. Donald Trump wants to get rid of cyberbullying. According to Clinton and Trump share views on overlooked science issues, Donald Trump wants to eliminate the way the government watches everything you do when it comes to technology. “The United States government should not spy on its own citizens. That will not happen in a Trump administration. Any attack on the internet should be considered a provocative act that requires the utmost in protection. It would also require, at the very least, a proportional response. This response must identify and then eliminate threats to our internet.”, Donald Trump answered. Donald Trump doesn’t want anymore cyberbullying. He doesn’t want people to be bullied. Donald Trump doesn’t think the United States government should “spy” on its own citizens. He thinks that any attack on the internet should be considered a provocation act that requires the utmost in protection. Hillary Clinton wants to eliminate higher paying jobs. “Clinton said her Republican rival was promoting a "Trumped-up" version of trickle-down economics — a philosophy used by President Ronald Reagan that focused on tax cuts for the wealthy. She called for increasing the national minimum wage. She argued that the government should spend more on infrastructure projects, such as roads and parks, and guarantee equal pay for women.” Hillary Clinton would take away all the high paying jobs if she became the president of the United States. She would take all of the guns. Hillary Clinton wants the government to spend more money on the roads, parks, and to guarantee equal pay for the women instead of the higher paying jobs. Hillary Clinton wants to eliminate the higher paying jobs to make roads, and parks. Donald Trump doesn’t want to eliminate the higher paying jobs, or the guns. Donald Trump wants to make a wall to keep illegal immigrants. “The centerpiece of Trump's campaign has been a push for restrictive immigration measures. Trump has called for the construction of a physical wall along the U.S.-Mexico border. He also had an early proposal to temporarily bar foreign Muslims from coming to the U.S. Still, he has been less detailed about other ideas, including his plan for stamping out the Islamic State extremist group in the Middle East.” Donald Trump wants to put a wall up to keep illegal immigrants out of the United States. Donald Trump doesn’t want to take aways the guns. He wants to keep the higher paying jobs. He wants to make America great again. Donald Trump should be America’s next president. He wants to make a wall to keep out the illegal immigrants. He also wants to get rid of the cyber bullying. 1. A. Naive (Adjective) - Showing lack of experiment. ​B. The children are naive because they show lack or interest. 2. A. Niche (Noun) - Comfortable place in life. 3. A. Obliterate (Verb) - Destroy utterly. ​4. A. Gratify (Verb) - Give pleasure or satisfaction. 5. A. Infinite (Adjective) - Endless amount of something. B. Numbers are infinite because they go will go on forever. 6. A. Coefficient - The numerical factor of a term. C. In the equation 5t, 5 is the coefficient. 7. A. Multiplicative Inverse - Two numbers with a product of 1, also known as the reciprocal of a number. B. The reciprocal of 3/4 is 4/3, you just have to switch the numbers around. 8. A. Identity - An equation that is true for every value of the variable. B. If you have a variable (e), and the answer (27) you have to figure out what 27 divided by 9. 9. A. Null Set - Empty set, meaning there is no solution for an equation. 10. A. Properties - Statements that are true for all numbers. 11. A. Embody (Verb) - Be an expression of or give a tangible or visible form to. 12. A. Exasperate (Verb) - Irritate intensely. B. My older sister, Taylor, exasperates me because she irritates me. 13. A. Fiasco (Noun) - A thing that is a complete failure. B. Sometimes things can be fiascos, but other times things won't be fiascos. 14. A. Garnish (Verb) - Decorate or embellish. B. For Christmas, people will garnish their Christmas tree. C. Decorating a Christmas tree. 15. A. Heritage (Noun) - Property that is or may be inherited. B. If you inherit property, you got a heritage from the person. C. Inheriting land from another person. 16. A. Plate (Noun) - the two sub-layers of the earth's crust (lithosphere) that move, float, and sometimes fracture and whose interaction causes continental drift, earthquakes, volcanoes, mountains, and oceanic trenches. B. Most major plates are named after a lake or continent, and we are on the North American plate. 17. A. Ring of Fire (Noun) - a major area in the basin of the Pacific Ocean where a large number of earthquakes and volcanic eruptions occur. B. There is also a ring of earthquakes here since volcanoes and earthquakes occur in the same place. 18. A. Pangea (Noun) - When the Earth's plates were all connected. 19. A. Fault (Noun) - A crack in the Earth's crust. 21. A. Sympathy (Noun) - Feelings of pity and sorrow for someone else's misfortune. 22. A. Empathy (Noun) - The ability to understand and share the feelings of another. 23. A. Apathy (Noun) - Lack of interest. B. Many people are apathy towards school because they lack in interest. 24. A. Connotation (Noun) - What you think a word means. 25. A. Denotation (Noun) - Dictionary definition of a word. Screenflow is a program that you can use when you can make videos to demonstrate something that you are teaching. If someone doesn't understand what you are telling them to do, you can do a video on Screen flow and they can see what you meant and how you want something done. When you use screenflow, you need to be able to know what you need to do to use it. The techniques I had to use were callouts, transitions, annotations, text boxes, scaling, splitting clips, and how to export a video. In my future I want to be an accountant. Screenflow can help me with this because if I forget how to do something I can look back at my video, and remember how to do it. My hero, Rashel Willits, is my mother. My mother works at Mickey Mart. While my dad is at work, she takes care of me, and my siblings. Unless she is at work, she makes sure we are safe. My mother is brave, smart, kind, helpful, caring, self-less, respectful, generous, and most of all self-sacrifice. My mother cooks for me, and my siblings even if she is busy. Even though we get in arguments, she would still be my hero. My mother does everything she can to help me, and my siblings. When she is busy, she always takes care of us first. My mother is my hero because she helps me when I'm sick, or if I get hurt. She makes sure we are taken care of, so she can go to work. The reason why I had chose her is because when you need help she will help you. If you don’t have a ride she’ll give you a ride. She encourages me to try new things. She can tell if something is wrong, and she helps me if I’m sad. If something happens I know I can tell her because I trust her more than anyone. She really an amazing mother, and I’m glad to call her my mother. 1. A. Argument (noun) - An exchange of diverging or opposite views. B. I got in an argument with my sister, but we ended up getting yelled at by my mom. 2. A. 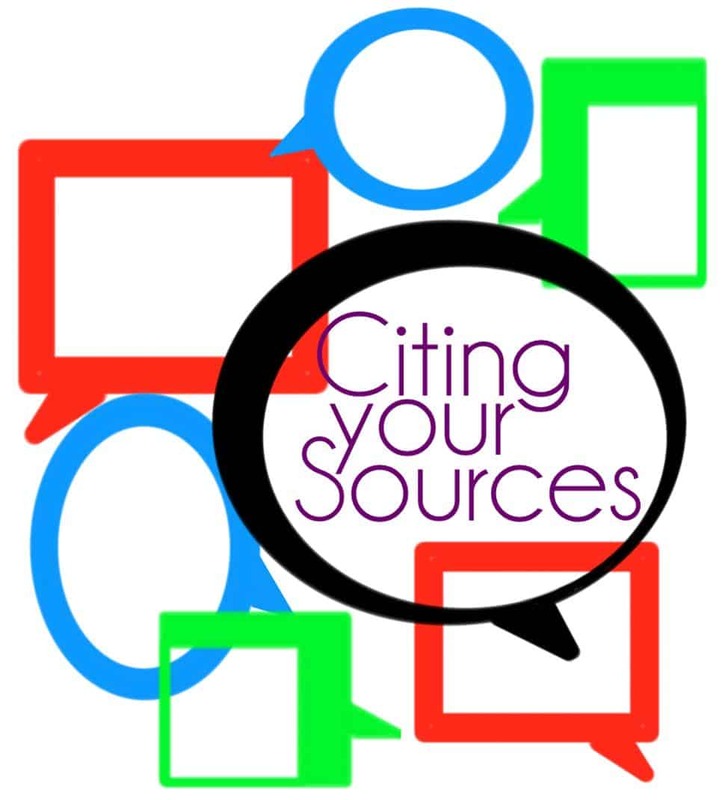 Cite (Verb) - Quoting a book, passage, or author. B. When I was in fifth grade, we did a project where we had to cite examples. B. When the softball game had started, the ball was thrown by the pitcher. C. After a game starts, the pitcher threw the ball. 4. A. Personification (Noun) - A person, animal, or object regarded as representing or embodying a quality, concept, or thing. B. In seventh grade we learned about personification in reading, and sometimes in English. 5. A. Point of View (Noun) - A particular attitude or way of considering a matter. B. During seventh grade, we learned about point of view and figure of speech. 6. A. Collaborate (Verb) - Work jointly on an activity, especially to produce or create something. B. We have to be able to collaborate in 8th grade because we have to do some project. 7. A. Articulate (Adjective) - having or showing the ability to speak fluently and coherently. B. During English, you have to be able to articulate. B. When talking to someone, you always want to listen or when you go to tell them something they won't listen to you. 9. A. Meticulous (Adjective) - Showing great attention to detail. B. If you care about someone, you are meticulous. 10. A. Agile (Adjective) - able to move quickly and easily. B. Some animals are agile, like a cheetah. 11. A. Hypotenuse (Noun) - The longest side of a right triangle. B. During eighth grade, we might learn about hypotenuse. 12. 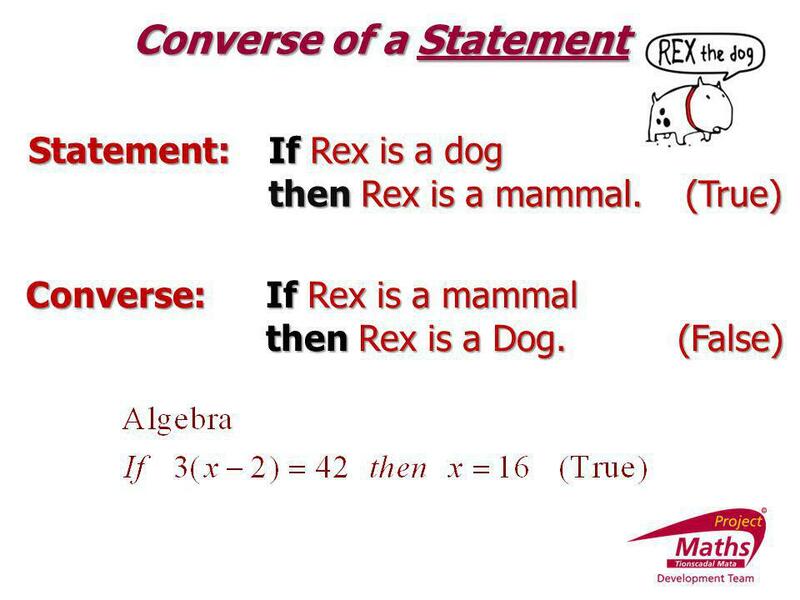 A. Converse (Noun) - Switching the hypothesis and conclusion of a conditional statement. B. During eighth grade, we might learn about converse, and what they are. 13. A. Irrational Numbers (Noun) - A number that can't be represented as a fraction. B. During the vocabulary test on Friday, we need to know what an irrational number is. 14. A. Rational Numbers (Noun) - A number that can be represented as a fraction. B. We have a vocabulary test on Friday, and we need to know what a rational number is. 15. A. Square Root (Noun) - A number that produces a specified quantity when multiplied by itself. B. For our math vocabulary test on Friday, we need to be able to identify square root. 16. 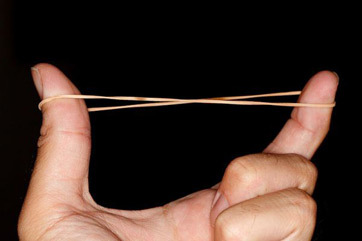 A. Elastic Potential Energy (Noun) - Energy that can be compressed, bent, or stretched. B. During science class, we are learning about elastic potential energy and the different types of potential energy. 17. 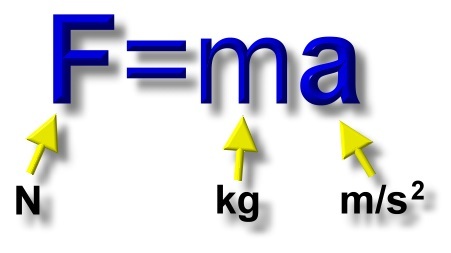 A. Newton (Noun) - Force that can be measured in many units. B. During science class, we learned about newtons, and how they work. C. One Newton is 1 kilogram-meter per second squared. 18. A. Force Field (Noun) - An area where the force created by an object can have an influence on a particle or object. B. Our force field isn't strong enough to block missiles, but maybe we will in the future. 19. A. Inertia (Noun) - How hard it is to get something moving, stop a moving object, or change the direction of a moving object. B. If you go to push a car, it'd be hard because of inertia. C. Trying to move a car when its broken down. 20. A. Normal Force (Noun) - a equal but opposite force that pushes back when you stand, sit, or push on a surface so you do not sink through that surface. B. 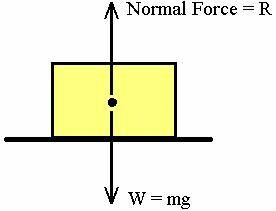 When you lean on a wall, the wall pushes you back with the same amount of force, this is called normal force. 21. A. 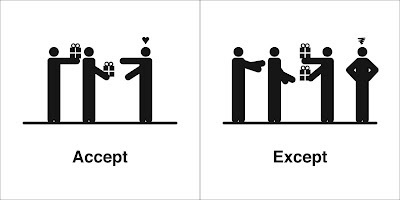 Accept (Verb) - Consent to receive something. B. For Christmas, you accept the gifts you are given. 22. A. Except (Preposition) - Not including someone. B. For my birthday, I want everyone to come except Candice. C. Saying everyone can come but someone else. 23. A. Affect (Verb) - To almost influence. B. If you line up dominos, and push the first one, then you have an affect on the dominos. C. Stacking dominos, and pushing the first one. 24. A. 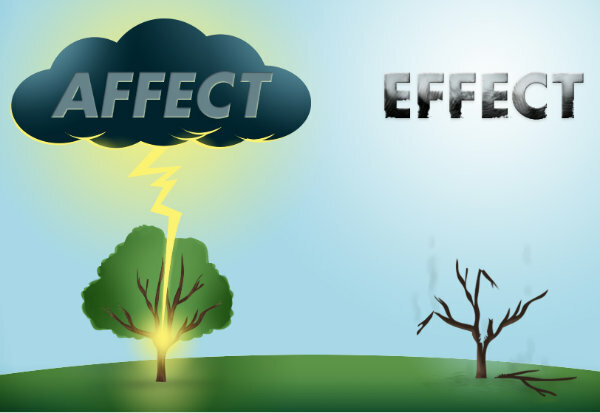 Effect (Verb) - Causing something to happen. B. If there is a cause, then there's an effect also. 25. A. Principle (Noun) - Fundamental source or basis of something. B. The chemistry class was very easy, but some students didn't follow the basic principles. ​C. Rules something is based on. 26. A. Allusion (Noun) - An expression designed to call something to mind without mentioning it explicitly; an indirect or passing reference. B. I had an allusion when I thoughtI saw a dog in my room. C. Seeing things that aren't there. 27. A. Onomatopoeia (Noun) - The formation of a word from a sound associated with what it is named. B. 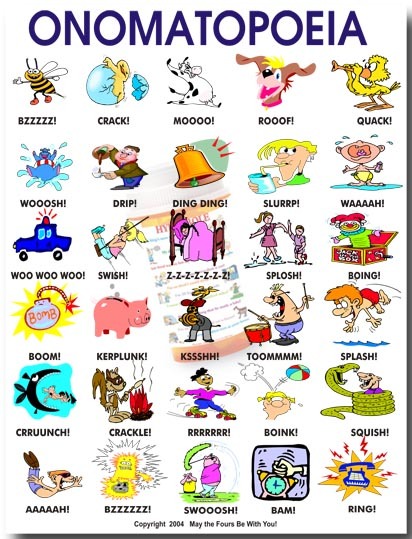 During seventh grade reading, we learned about onomatopoeia. 28. A. Alliteration (Noun) - The occurrence of the same letter or sound at the beginning of adjacent or closely connected words. B. If many words have the same starting letter, then it's alliteration. 29. A. Irony (Noun) - The expression of one's meaning by using language that normally signifies the opposite, typically for humorous or emphatic effect. B. If someone is putting up signs, or writing on windows that is called irony, and prohibited. 30. A. Figurative (Adjective) - Departing from a literal use of words; metaphorical. B. During seventh grade, we worked on figurative language, and parts of speech.